We have solutions for every business. Here at Zen Apartments we offer affordable luxury serviced accommodation, fully furnished with contemporary, high quality comforts such as FREE broadband, Flat TV with DVD and Sky channels and much more. Your individual needs and concerns are important to us and we will always do our best to match your requirements to your potential property. Our friendly and professional team are always on hand to help. To us you are not just a number, you are our guest and as such, we want you to thoroughly enjoy your stay. 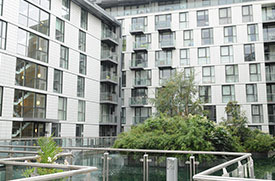 Whether you require short or long-term accommodation, we have the right accommodation for you.We bring you the comfort of your own home with the added benefits you would expect from a hotel such as a housekeeping service and clean linen all in a central location of Canary Wharf and City, making us an ideal alternative for a wide range of clients.We understand that serviced apartments are quickly becoming the first choice for corporate bookings and believe that no booking is too complex for us. Discounts for large and repeat bookings are available. Zen Apartments also provides excellent discounts for longer stays. Please inquire directly with our booking team. We will work with your relocation package to find the ideal properties which will reach your expectations and will be more suitable for every individual. All our apartments have fully equipped kitchens, bathrooms and laundry facilities. Using the apartments as a work-based is also easy and convenient.